Rita Ora, Liam Payne, George Ezra, Clean Bandit, Years and Years, Sigala and Jax Jones to also perform at the massive live event coming to the Manchester Arena for the first time. Following the launch of brand new national radio station Hits Radio, Hits Radio Live is coming to the Manchester Arena on Saturday 14th July. The dazzling new show is bringing the biggest chart toppers to the heart of Manchester, and will offer the biggest hits from a star-studded line-up including Take That, Rita Ora, Liam Payne, George Ezra, Clean Bandit, Years and Years, Sigala and Jax Jones. 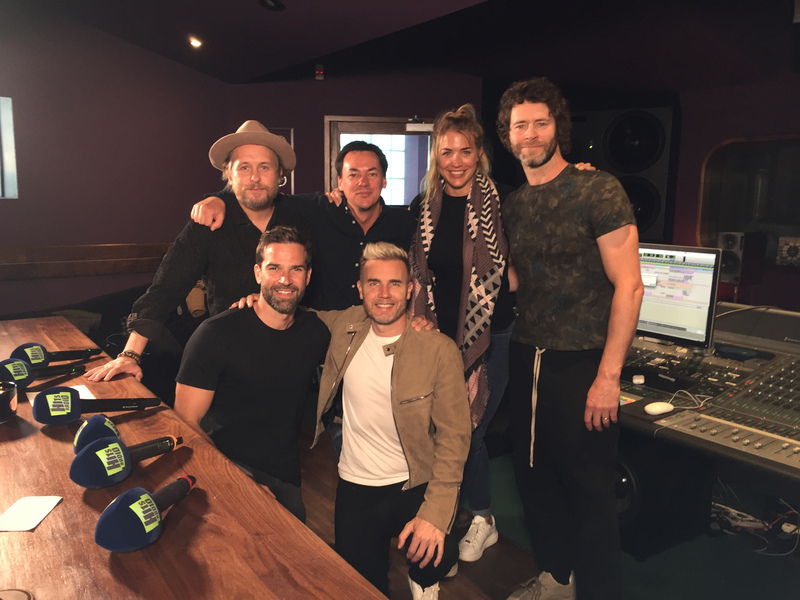 Take That are one of the UK’s most successful Live Acts and are renowned for their incredible live shows, having created some of the most memorable stage shows in UK music history. The Manchester favourites also now hold the accolade of being the first artist to ever be played on the newly launched Hits Radio, broadcasting from the regions in Manchester to the rest of the UK. ‘Greatest Day’ introduced the station to the UK in a spine-tingling moment introduced by the new breakfast show hosts Gethin Jones, Gemma Atkinson and Dave Vitty. Take That are one of the UK’s most successful acts with an enviable career spanning three decades. The band had sold over 7.6 million concert tickets before the announcement of Wonderland Live, setting the record for the fastest selling tour of all time in UK history when 1.34 million tickets were snapped up for their Progress Live Tour in less than 24 hours. In the UK alone, they have achieved seven UK Number One albums, 15 Number One singles, sold over 45 million records, won six Ivor Novellos, and eight BRIT Awards. Internationally, they have scored an incredible 54 No.1 hits and 35 No.1 albums. Tickets for Hits Radio Live on Saturday 14th July at the Manchester Arena go on sale at 9am on Friday 8th June –click here.